…At age nineteen, Dorit Sasson, a dual American-Israeli citizen, was trying to make the status quo work as a college student―until she realized that if she didn’t distance herself from her neurotic, worrywart of a mother, she would become just like her. 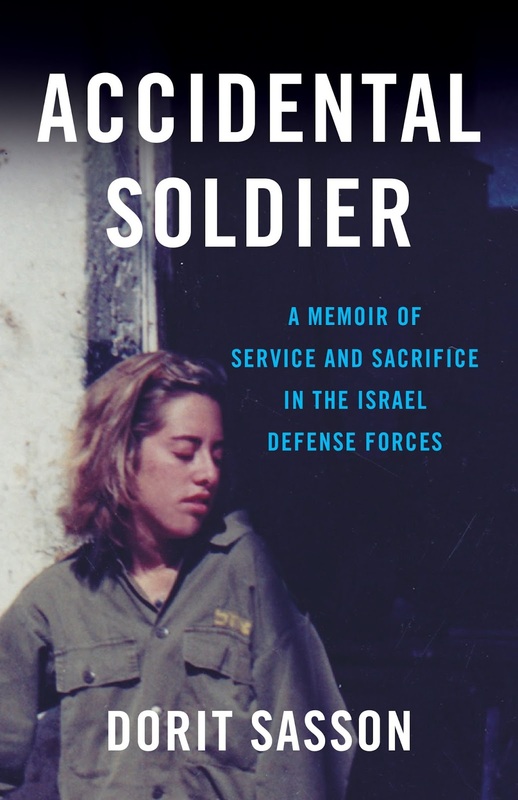 Welcome Dorit Sasson, author of Accidental Soldier: A Memoir of Service and Sacrifice in the Israel Defense Forces, with a guest post on the three important steps she took to become unstuck from uncertainty and find the inspiration to finish her memoir. The genre of memoir writing is exploding. Writers are jumping at the opportunity to tell their life story and want to cash in on what may be the next blockbuster. However, writing one's life story is not as easy as it looks and writing my memoir on serving in the Israel Defense Forces required getting unstuck from the inner critics and self-doubt. When starting my memoir, I experienced quite a bit of "highs" and "lows." Often I questioned my motivations and asked myself, "who's going to be so interested in reading my story and why?" The inner critic got in the way so much that I had to take it for a nice long walk. But to reach the finish line, I had to increase my productivity so I could stay “unstuck” and creative. 1. 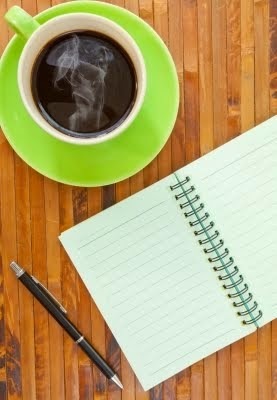 I joined a supportive writing group that specializes in memoir writing. I cannot begin to tell you how important a writing group is for the development of any writer but incredibly important for a writer who's feeling vulnerable and lonely while writing past events that tear him/her up. A good writer's group will support you through the "lows" and applaud you through the "highs." Having a good writer's group provides weekly check-ins and accountability with a writing buddy. Also, a writer's group can also provide direction and guidance as you're discovering the best way to tell your story. 2. I blogged about my memoir. Now I know what you might be thinking. How the heck am I going to blog my memoir when I'm struggling to just write the thing? Just for the record, some memoir writers starting out may not feel comfortable blogging because they aren't ready to share parts of their story with a larger audience, (blogging requires an outer voice) and that's alright. Contrary to what some memoirists may think, there's no shame in blogging about your memoir let alone writing it. As Brene Brown states, "owning our story can be hard but not nearly as difficult as spending our lives running from it. Only when we are brave enough to explore the darkness will we discover the infinite power of our light." As a blogger, you'll have the chance to develop more self-confidence in reaching out to your target online reader. Plus, blogging is great for building a following for promoting your book. 3. I learned the importance of writing scenes for memoir writing. Essentially, a memoir is a collection of "scenes" that when put together, tell a larger story along with themes. Showing what happens to a character is important for grounding the reader. Scenes in memoir thrive on the dialogue of the inner and outer narrator which helps ground defining moments. When we read a scene that balances all these elements, we connect to a character’s journey that will ultimately lead to transformation. With the first draft of my memoir, I couldn't help myself and dove into scene after scene but with the help of a writing coach, it became clearer to me that my inner narrator's thoughts and feelings needed to be expressed in order to balance what was happening to me at the time. It was up to me to decide how vulnerable (or not) I really wanted my character to be. There are literary agents out there who snub memoir writing and some have even gone so far as to say that memoir is "ME-Moir." Please do NOT buy into this cynical and very ridiculous point of view. People want to read memoir for story's sake. They want to read a story of transformation - the hero's journey. And yes, they want to read your memoir. We need to recognize the value of stories and create a safe, sacred and creative space for those who do want to give voice to their stories. The ripple will cast itself over for future generations to come. Based on my own writing and learning, a good memoir is about sharing and resonance, as well as showing vulnerability and breaking the barriers. And there's nothing wrong or self-centered about that. Thank you Dorit for your honest and uplifting guest post and thank you to Crystal J. Casavant-Otto and WOW! Women On Writing for providing this stop on Dorit Sasson's blog tour. For more info and tour dates, click here. Dorit Sasson writes for a wide range of print and online publications, including The Huffington Post and The Writer, and speaks at conferences, libraries, and community centers. She is the author of the a featured chapter in Pebbles in the Pond: Transforming the World One Person at a Time, the latest installment of that best-selling series, and. She is the host of the global radio show "Giving Voice to Your Courageous Story." She lives in Pittsburgh, PA with her husband and two children. At age nineteen, Dorit Sasson, a dual American-Israeli citizen, was trying to make the status quo work as a college student―until she realized that if she didn’t distance herself from her neurotic, worrywart of a mother, she would become just like her. 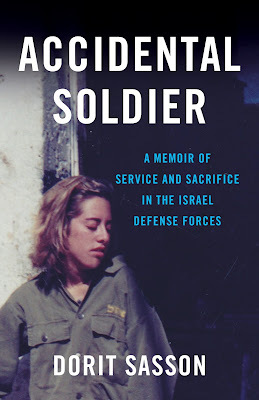 Accidental Soldier: A Memoir of Service and Sacrifice in the Israel Defense Forces is Sasson’s story of how she dropped out of college and volunteered for the Israel Defense Forces in an effort to change her life―and how, in stepping out of her comfort zone and into a war zone, she discovered courage and faith she didn’t know she was capable of. I'm done using ADULT as a verb even though I don't want to ADULT today! This whole adult thing. Ugh. Right? Waking up early. Being responsible. Putting the wrong lunch in the wrong kid's lunch bag. Wishing your laundry would fold itself and the lottery fairy would pay all your bills and you didn't have to be in three places with three different kids at the exact same time. 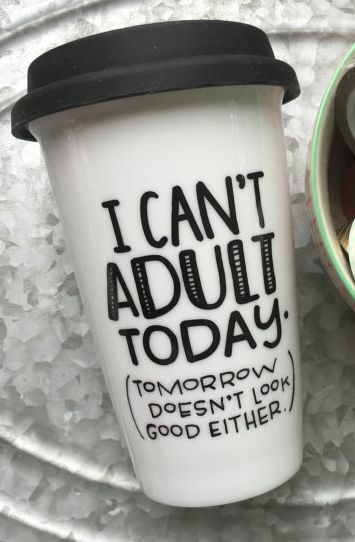 I can't adult today! How about you? Done with adulting too? I kind of want to young-adult it today, though. You know, that magical time when you could drink and thought you had responsibilities but really they paled in comparison with what you just took care of before 9am this morning? So, while I wasn't adulting and slurping down some wine (which now that I think about it sounds very much like being an adult) - I mean, sipping on some Kool Aid, I started thinking about this blog or the verb form of it, blogging. And, I discovered something interesting. I don't feel like blogging anymore. Blog, bog, blah-og. It was fun for a while, but let's be honest, I'm not in danger of going viral. Trust me. I tried the whole viral thing and it wasn't pleasant. Plus, my blog posts didn't get a lot of attention either. Mermaids. And, might I say, mermaiding - defined as living one's life as a mermaid. No, not me. I get terrible swim ear even if I look at the water. But that's the theme of my next novel - mermaiding. Which isn't getting written because I'm blogging and worrying about blogging and now you see the problem! Not my last post, but close. This post is probably not the last one ever, but it's darn close to it. You'll know it's my last post ever because I'm going to name the post "The Last Post Ever" and then you'll know for sure. If you're one of my tens of loyal readers, (Hi Mom! ), thank you for your readership! If you're super sad, you can start a hashtag #savetheblog or #AudrySayItIsn'tSo or #SnapOutOfItAndBlogAlready! 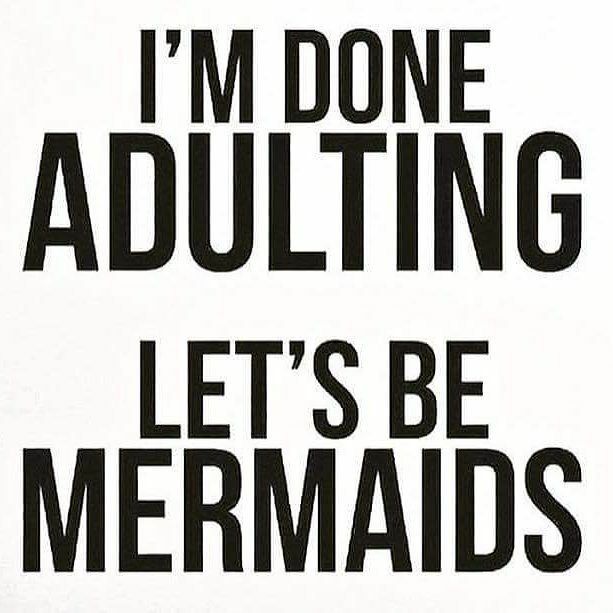 Otherwise, it's #I'mDoneAdultingLet'sBeMermaids for me. I'll be the one lounging on the beach with a margarita. www.audryfryer.com and let's escape into a great read. A free first chapter will magically, instantly appear in your inbox just for signing up for my I-hardly-get-around-to-doing-it Newsletter. Fun! YOLO! Meet my fabulous editor of Going Barefoot in Greener Grass, KM Krick! Today I interview her and ask difficult, thought provoking, deeply philosophical questions. Ha! Not so much! But this interview is perfect for anyone considering hiring an editor or even becoming one. If you're looking for an editor, KM Krick (also known as Kathy) is affordable, thorough and best of all, personable. Me: Welcome Kathy to All Things Audry! I'm so happy to be interviewing you today! K M Krick: Thank you! It's a pleasure to be here. I don't usually do interviews, so I'm a little nervous about those deeply philosophical questions. Me: Ha! Nothing to worry about here. Let's start with an easy question. How did you decide you wanted to be an editor? Give us your background. K M Krick: Ok, I can answer this one easily! I began my editing career in 2012 as a proofreader. I proofread for a few authors before I edited my first published story in November 2012. With the love I had for proofreading and helping to fix an author’s baby, I became a freelance editor. Ironically, I wasn’t much of a reader prior to proofreading. I hadn’t read a book in many years. In fact, the first book I finally read after so many years was Fifty Shades of Grey. That’s where it all began for me. Me: Oh, well, Fifty Shades of Grey seemed to turn a lot of people on, ahem, to reading! So, is it safe to assume romance is the genre you prefer to edit? K M Krick: Romance is definitely my favorite genre to edit. Simply, I love the HEA. Me: So, now, prepare yourself for that deeply philosophical question. What's the best and conversely, the worst part of the job? K M Krick: The best part of being an editor is definitely meeting so many new people. I have formed many lifelong friendships with a lot of my authors. The worst part of the job would have to be a “nightmare” edit. I’m sure every editor has had one. It’s the edit that is so full of revisions, you just want to pull your hair out. Me: What are you working on right now? Could you recommend any authors/books worth checking out? K M Krick: I’m currently working on a few stories right now. I would love to recommend every author I have had the fortunate privilege to edit for. So I don’t leave anyone out, search my name on Amazon and you will see all these wonderful authors. Me: I did a search (click here) and for anyone who loves romance, you have quite a selection for finding your next read! Okay, last question! 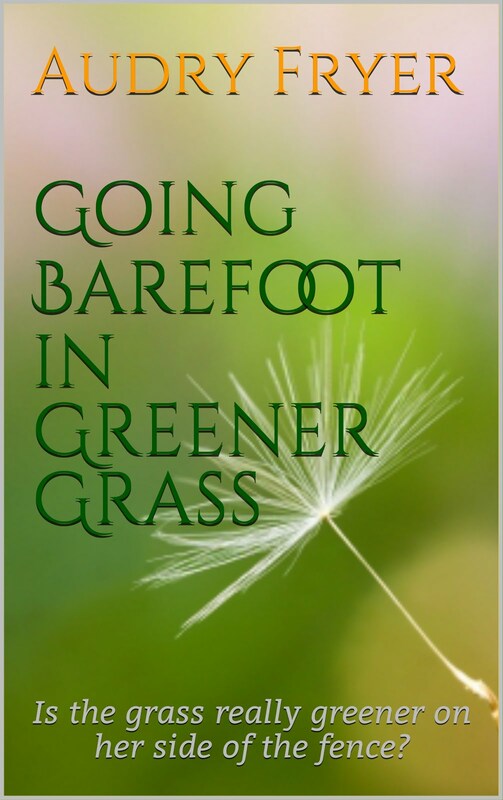 As my editor - who I must say did a fantastic job, I was thrilled when you expressed how much you enjoyed Going Barefoot in Greener Grass. So, I know I'm tooting my own horn here, but could you share what you liked about the novel? K M Krick: Aww, I’m blushing. Thank you for the very nice compliment. I love being your editor. My biggest fan, Sheri Wasik, sent you to me, and I couldn’t be more grateful to her. Yes, I loved Going Barefoot in Greener Grass. What I really liked about the story is how you intertwined the stories of two best friends who couldn’t be more different than each other. Your storytelling was so spot-on that it made me want to skip to the end of the story to find out how it ended. I was glued to every word. Me: Aww, now I'm blushing! And, yes, I'm ever so grateful for our shared hair stylist extraordinaire, Sheri Wasik, for making this literary connection between us! Thank you so much for taking the time between edits to do this interview. So appreciated! 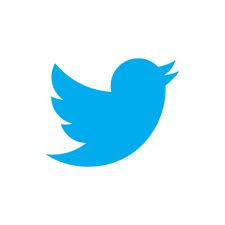 *Want to connect with K M Krick? Go to her Facebook Page and say hi! Get in on all the fun: great reads and feel-good posts! Follow by Email! Welcome to my blog! Here, you'll find fun snippets from my Writer-Mom life as well as fascinating guest posts from fellow authors. A little about me: I am a novelist, blogger and domestic diva. I wrote my first novel, Going Barefoot in Greener Grass, while my twins were napping and my oldest was at pre-school. I have a second novel, Secrets, Lies and Apple Pies available for Kindle and Nook. And, I am feverishly working to find an agent for my third novel, How Lucy Got Lucky. I live on a quiet, country road overlooking a pond with my John Deere fanatic husband, my Lego-maniac son, my Southern Belle at heart twin daughter, my “scientist” twin son, a very furry dog and two tree frogs. Aside from writing, my typical day consists of bucket-loads of coffee, living the domestic diva lifestyle (also known as cleaning, mountains of laundry, etc. ), pretending to exercise by wearing yoga pants and “Mom’s Mini Van Shuttle”. Bring a smile to your inbox and subscribe! Once a week, feel-good posts and fascinating reads. Is the grass really greener on her side of the fence? Click on this image for a direct link to Amazon's Kindle Store! Get it now for Kindle! Click on the image to discover "A Novel of Delicious Deceptions"
Click here for one juicy novel! Thanks for visiting All Things Audry! Novels with humor and heart!